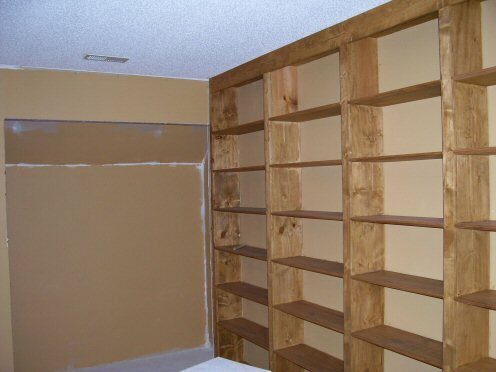 Part of the finished small bookcase, the door to the rest of the house, and the ’secret door’ can be seen in this photo. 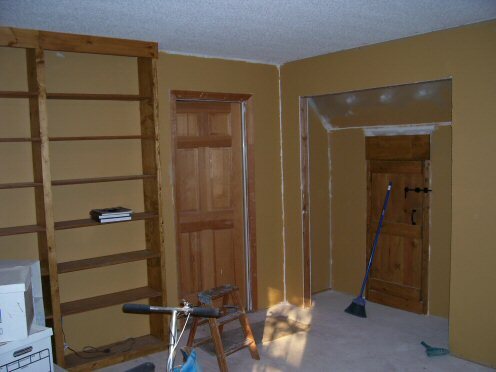 I ran out of paint so some of the walls aren’t finished (they are now though). We’ve already begun moving books onto both the large and small bookcases. 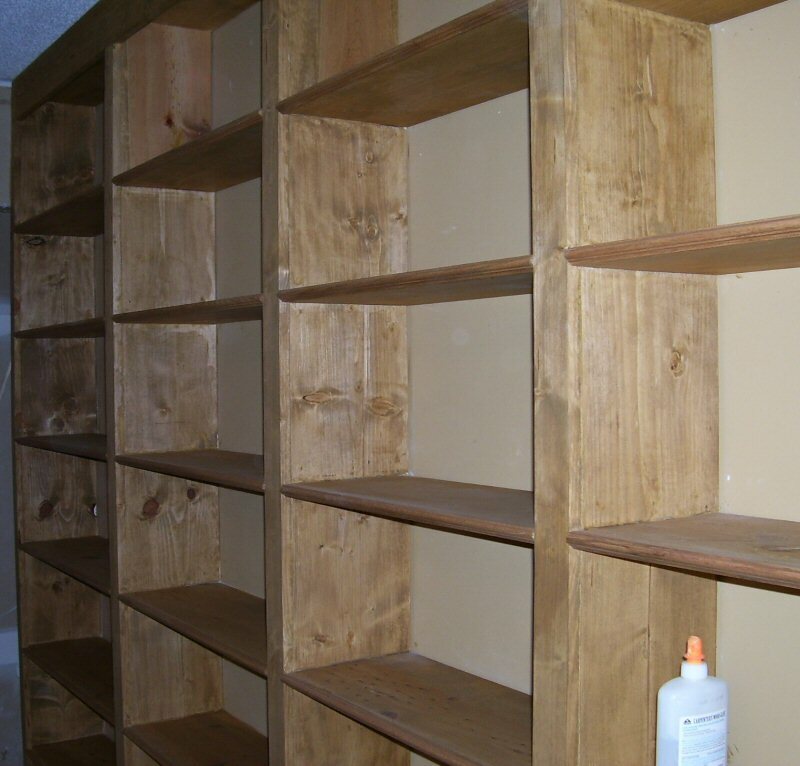 This is a piece of the 3/4″ red oak trim I added to the shelves to add a decorative flair to the bookcases. 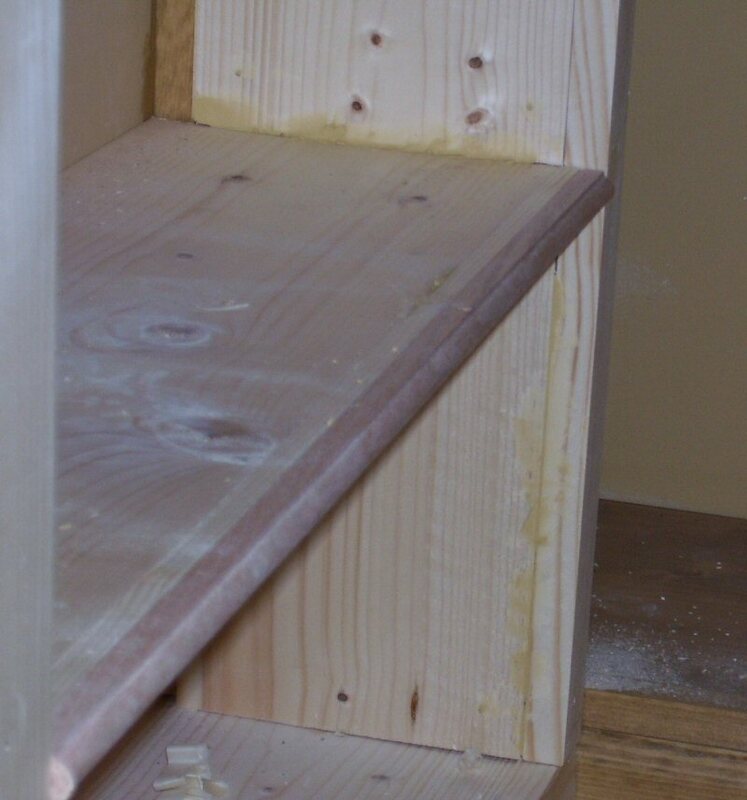 I glued a piece of wood 3/8″ wide to the back of the edging, then glued it to the shelves while holding it in place with clamps. For shelf edging I glued a piece of 3/4″ red oak trim to the end of each shelf, then stained it along with the rest of the shelf. 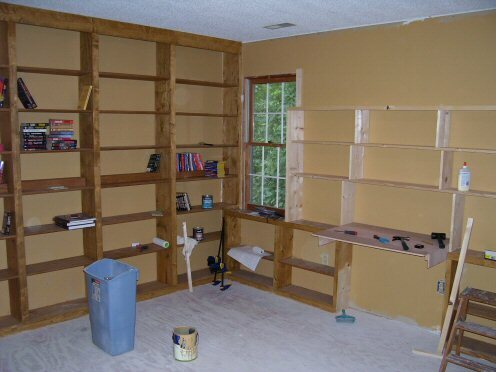 There’s no back to these bookcases; the wall behind the shelves is painted a dark brown to blend with the stained wood.